You don’t feel well. You look around and see things that need to be put away, projects that need work, and reminders that your body has betrayed you. Pain, fatigue, brain fog, lack of stamina, learning to live in your new normal…whatever your symptoms are, they prevent you from accomplishing daily tasks. 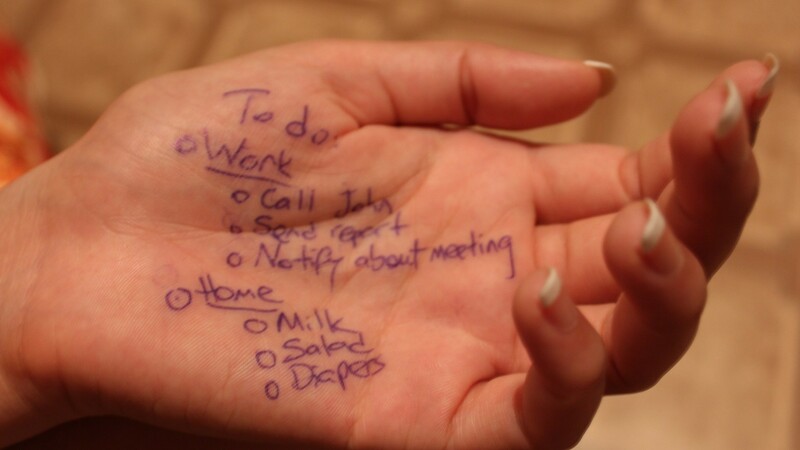 Write (or record) a list of things that you need to do. Include everything that is on your mind: taking your medications, resting, doctor’s appointments, picking up clutter, paying bills, driving the kids, laundry, dishes, cleaning the bathroom, etc. Now, rate your energy level for the day, on a scale of 0-10. Zero would be you cannot even get out of bed that day. A level ten would be how you felt prior to your illness. Delete: tasks that really don’t have to be done…for now. In this example, let’s assume an energy level of 4. 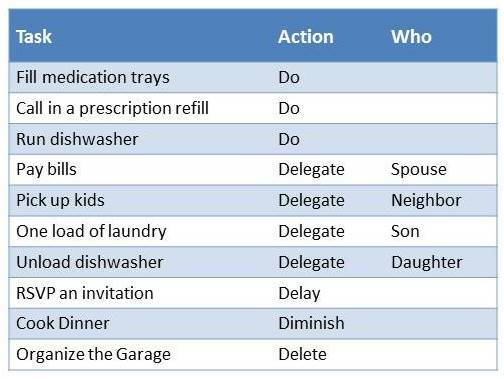 The result of this exercise is that your tasks are to run the dishwasher before dinnertime, call the pharmacy and fill your medication trays. This list matches your energy level for the day. Sometimes, your energy level won’t be enough to match your to-do list. Sometimes, you may feel a bit better. You can learn to trust yourself, set priorities, and delegate, because your job is primarily to take care of your health. I love this blog. So many people are living with illness and using up their “spoons” to get through the day. My hat is off to everyone who is living with a chronic illness, fighting through, going to work tired, etc. This is a great post! “Going to work tired,” is exactly right. We hope to reach those who do exactly that. Thanks for your comments.